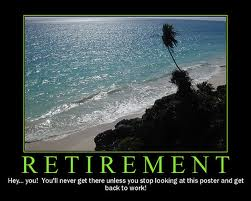 You’re retired now or at least your work schedule is finally down to a few hours. You want to feel better and have more energy, right? You’re tired of looking at your body in the mirror or not being able to fit comfortably in the jeans you used to look so good in. Let’s face it… none of us are getting any younger. We have to step out of our comfort zone and take action to get what we really want. Your health and fitness needs to be a priority. You always knew how important it would become; you just didn’t have time for everything. The next 10 or 20 years is paramount in deciding what quality of life you will really have. It’s your choice. 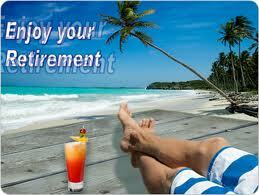 I train many clients that are retired and my clients make time to prioritize their health and fitness. I’m there a lot of times for accountability, accurate information, and guaranteed results. You will feel better than you’ve felt in a very long time when you begin to workout consistently and you know it. Your confidence level will go up because you will see and feel you’re making the right choices. I tell all my clients… even the ones that want to give me too much credit… They’ve personally done all the hard work, they’ve earned their results! I’m there for motivation and support when they need it most. Life has a way of getting in the way, so don’t get distracted and wait another 5 or 10 years to do that you can do right now. I know you wouldn’t be reading this blog if you weren’t ready to take action! Actually, I have a lot of professionals that travel consistently as well. It’s tough on these clients because their diet can be so adversely affected on the road. When they return home they settle into their routines again. But they don’t make excuses for bad eating. My clients recognize their nutrition is primarily up to them and often they make good choices, but sometimes they make poor choices. Ultimately it’s your responsibility to take control of your health and fitness. I can provide the coaching, support, and information to help make you successful. Hoping you will be healthy and strong is NOT a strategy. You have everything to gain by stepping forward and achieving what you’ve always wanted. A body you’re proud of or at least happy with! Yet, sometimes you need a little help or support to raise your hand and get what you truly desire. I used to be afraid of asking for help. I was too proud or too arrogant. I actually thought I knew a lot. I don’t feel that way anymore. If I can learn something faster, save time, and get the result I want… I take full advantage of the opportunity. We live in a world of specialties and niches. We are inundated with information often conflicting and confusing. What’s the right way to lose weight and do it quickly you ask? Hire a professional that guarantees results and one who has a lot of success stories. Success Stories Let someone help you that has a serious track record for obtaining their clients’ serious results! As health and fitness professionals, we don’t have to look like Arnold Schwarzenegger, but we have to model a healthy lifestyle and set a good example for you. If you’re retired or close to it, you want to get that body back that you know you’re capable of, and you want to make time for yourself because you know you’re worth it. Some people just want to be able to move up and down a flight of stairs without being winded. Others want to be able to travel without fear of falling and injuring themselves! You could be a perspective client that had a bad experience with a prior trainer because you were asked to do something during your training session that was not appropriate for you. Let’s sit down and talk about how we can best help you. It’s a lot easier than you think once you get started. Initially it can be a bit challenging, but slowly transitioning you and having some fun along the way will make all the difference. 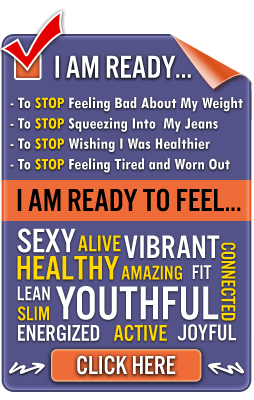 Your time is now… optimizing it will make your life that much better! Smart People Invest In Their Health! 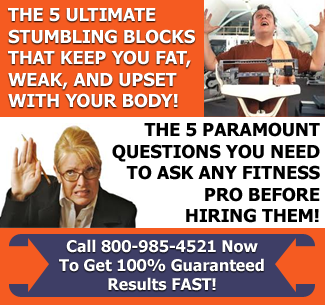 Your FREE Fitness Coaching is value packed.